Although I am a Jew and a Zionist, as an American I am fully aware that when we vote for our leaders we are electing individuals whose job is to do what they perceive as best for the United States of America. I am fully aware that despite the importance Israel has to me and millions of other Americans, your job is to do what you deem as strategically beneficial for America first. I respect that, and to be frank as an American voter, even expect that. With that in mind, despite my admitted personal bias, I still have serious issues with the actions of this administration and as I write this letter, primarily with the State Department. I will begin to make my point by asking an important question. What is the difference between negotiating with terrorists and legitimizing them? I understand the Israeli/Palestinian issue is a complicated and troubling one. I personally no longer hold a moderate view towards how it should be handled, but I know many of my fellow Jews and Americans who are more moderate and even optimistic that a two state solution is possible. I know of many people who believe in what is best for Israel while opposing the building of settlements in the West Bank and questioning Prime Minister Netanyahu’s policies. I tell you this to emphasize that despite the fact that I strongly disagree with these people, I know many of them love Israel as much as I do. The issue however is the importance of making a clear distinction not only between innocent Palestinian civilians and Palestinian terrorists but in properly addressing who is responsible for the problems they, the innocent people face. I think it is fair to say that when Jen Psaki speaks in the name of the State Department, she is doing so with your approval and under your authority. To be frank, if this is not the case that would represent an entire different set of problems. But assuming she is indeed doing so, it seems more and more clear that there is an unfair balance as to the amount of criticism and expectation put on Israel by the Department of State. I’ve heard the argument that Israel, as the democracy that it is needs to be held to a higher standard. I also know that despite some of the problems currently between Israel and this administration there still exists a positive working relationship. What I believe to be at issue here, and can not be justified by the rationale of diplomacy, is the fact that Israel gets pressured and criticized by the State Department in ways that imply it is fighting against an enemy of equal legitimacy. If you wish to concern yourself with the well-being of the Palestinian people equally to that of the Israelis, I will quietly understand and accept that as a fair premise. However in doing so, besides how morally incorrect it is, you are defeating your own purpose if you manifest this into equal treatment of Israel’s government and Hamas. 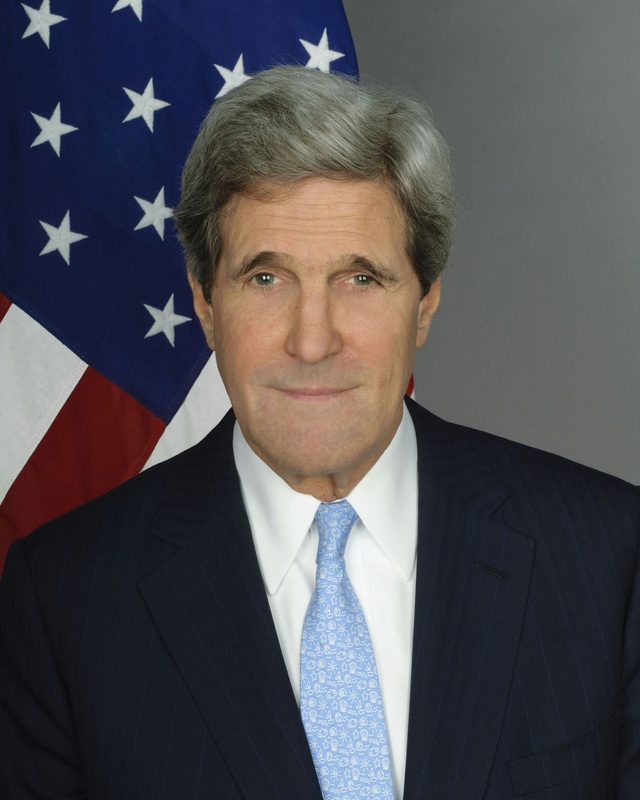 I am sure the response would be that the State Department has condemned Hamas on occasion and that should be enough, but it’s not enough if you don’t properly address the fact that it is indeed Hamas and those factions within the Palestinian community that discourage peace with Israel and encourage violence and terrorism from their able-bodied men that is mostly responsible for the problems the innocent Palestinians are facing. One more important point I wish to make, going back to my original statement, is that this approach which not only legitimizes but emboldens terrorist organizations is an approach that has the potential to cause serious harm to the United States and its allies. If nothing else motivates you to rethink your strategy, I certainly hope that this does. It would be wonderful to receive a sincere thought out response to this letter, one which details how the current actions are beneficial to all legitimate parties, but to be quite frank I’m not expecting one. Please however be aware that many people feel as I do and are disillusioned and losing faith in the current administration’s ability to handle the serious events taking place around the globe. Seeing that there seems to be more of an emphasis on satisfying the concerns of outside parties than the concerns of the American people, the State Department may want to reconsider its approach. This entry was posted on Saturday, November 8th, 2014 at 4:43 pm	and tagged with Americans, Hamas, Israel, Jen Psaki, Jew, John Kerry, Secretary of State, United States of America, Zionist and posted in Uncategorized. You can follow any responses to this entry through the RSS 2.0 feed. As always, Mr Groen , your letter is eloquent and articulate . I believe you missed one very important issue . The United States government is under attack by the same enemies that Israel is facing . The attacks are manifested through evil and direct condemnation and threats to all western and Non Muslim nations and people in the propaganda tools of the Islamic movements. The schools , sponsored in Gaza by the United States and shamelessly operating under UNRWA daily indoctrinate children and adolescent youth in the glories of Jihad and the promise of Islamic conquest.. The media outlets of Al Jazeera and many Arab publications are influencing opinions that would take generations to erase. If the United States and its allies do not address these state sponsored vehicles of enemy building and condemn them until they are eliminated , there can never be a possibility of peace anywhere in the world. The cancer is growing and the cures to cancer require decisive and hard decisions , or the patient does not survive.